This post will be dealing with a more science oriented approach to psychology known as cognitive neuroscience, which is a branch of psychology that involves intensive study of the brain as well as behaviour. The human brain is a lot more than a mass of grey goop; it is an extremely complicated organ consisting of a team of 50 billion neurons (each of which link up to 10,000 more neurons!) that work around the clock to control every thought, action, and perception we have. Your brain is responsible for literally everything you think and know about yourself and the world you live in, and is therefore the holy grail of psychology, as everything that is knowable has it’s roots in the brain. Even though we all have a brain, we are not born with an instruction manual on how to use it, or how it works. So we spend the rest of our lives letting it work on autopilot, outside our conscious control – do we control the brain, or does the brain control us? This technique involves inserting a micro-electrode one 110,000th of a millimetre in diameter into the brain to study activity in single neurons. This is a very sensitive technique, since electrical charges of as little as one-millionth of a volt can be detected. This technique has it’s obvious advantages in being able to observe brain activity at a very localised level. Another advantage is that information about neuronial activity can be obtained over time periods ranging from small fractions of a second up to several hours or even days. 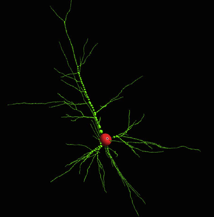 However, the technique can only provide information about activity at the level of single neurons, so other techniques are necessary in order to assess the functional of larger cortical areas. 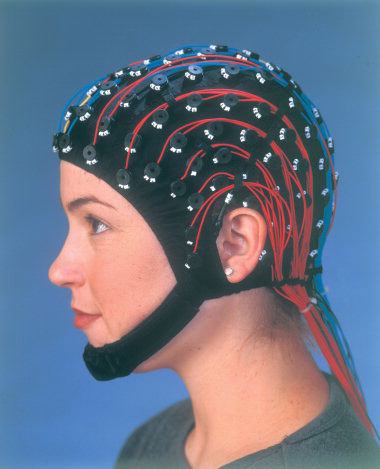 The electroencephalogram (EEG) is based on recordings of electrical brain activity measured at the surface of the scalp. 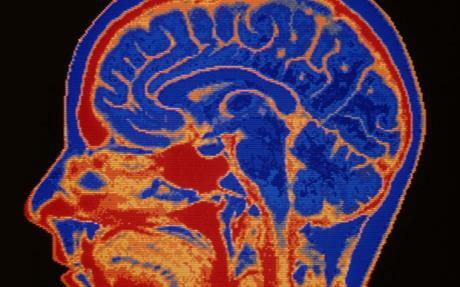 Very small changes in electrical activity within the brain are picked up by scalp electrodes. These changes can be shown on the screen of a cathode-ray tube using an oscilloscope. However, background brain activity sometimes clouds the impact of stimulus processing on the EEG recording. This problem can be solved by presenting the same stimulus several times. After that, the segment of EEG following each stimulus is extracted and lined up with respect to the time of stimulus onset. These EEG segments are then simply averaged together to produce a single waveform. This method produces event-related potentials (ERPs) from EEG recordings and allows neuroscientists to distinguish genuine effects of stimulation from background brain activity. ERPs have very limited spatial resolution but their temporal resolution is excellent; they can often indicate when a given process occurred to within a few milliseconds. 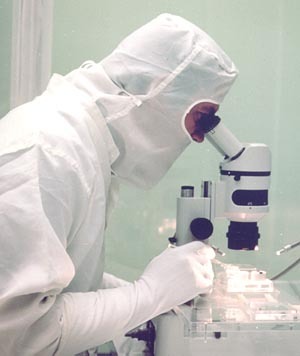 This technique involves the detection of positrons, which are the atomic particles emitted from some radioactive substances. Radioactively labelled water (the tracer) is injected into the body, and rapidly gathers in the brain’s blood vessels (seriously, who’s idea was this?) When part of the cortex becomes active, the labelled water moves rapidly to that place. A scanning device next measures the positrons emitted from the radioactive water. 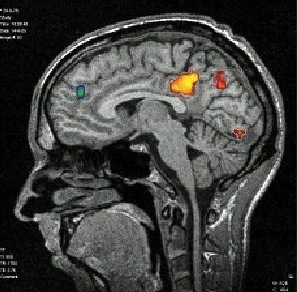 A computer then translates this information into images of the activity level in different brain regions, which looks like the brain viewed through thermal goggles. It seems dangerous to inject a radioactive substance into the body, but I have been assured that only tiny amounts of radioactivity are involved (everything is o.k in moderation, right? ), and the tracer has a half-life of only 2 minutes. PET has reasonable spatial resolution, in that any active area within the brain can be located to within 5-10 millimetres. However, as with most things in life, it suffers from limitations too. For example, it has very poor temporal resolution – PET scans indicate the amount of activity in each region of the brain over a 30-60 second period, so therefore PET cannot assess the rapid changes in brain activity associated with most cognitive processes. Also, more importantly, PET scans require the patient/victim to be stabbed with a syringe full of radioactivity, which can sometimes make it difficult to administer. Magnetic resonance Imaging (MRI) is the process of using radio waves to excite atoms in the brain, which produces magnetic changes detected by a very large magnet surrounding the patient. These changes are then interpreted by a computer and turned into a very precise 3D picture. MRI scans can be obtained from numerous different angles but can only tell us about the structure of the brain rather than its functions. As cognitive neuroscientists are generally more interested in brain functions than brain structure, it is lucky that MRI technology can provide functional information in the form of functional magnetic resonance imaging (fMRI). Oxyhaemoglobin is converted into deoxyhaemoglobin when neurons consume oxygen, and deoxyhaemoglobin produces distortions in the local magnetic field. 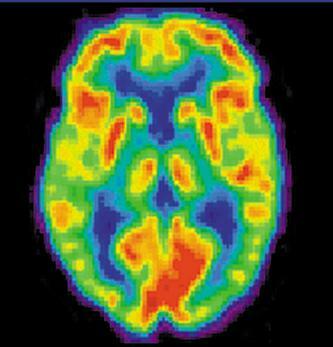 This distortion is assessed by fMRI, and provides a measure of the concentration of deoxyhaemoglobin in the blood. Technically, what is measured infMRI is known as BOLD (blood-oxygen-level-dependent contrast). Changes in the BOLD signal produced by increased neural activity take some time to occur, so the temporal resolution of fMRI is about 2 or 3 seconds. However, its spatial resolution is very good (approximately 1mm). Since the temporal and spatial resolution of fMRI are both much better than PET, fMRI has largely overshadowed PET. Magneto-encephalography (MEG) involves using a superconducting quantum interference device (SQUID) to measure the magnetic fields produced by electrical brain activity. This technology is quite complex due to the size of the magnetic field created by the brain, which is extremely small relative to the earth’s magnetic field. It is also extremely expensive to use, as SQUIDS need to be kept very cool by means of liquid helium, and recordings are taken under magnetically shielded conditions. Despite this, the MEG provides very accurate measurement of brain activity, in part because the skull is virtually transparent to magnetic fields. This means that magnetic fields are minimally distorted by intervening tissue, which is a definite advantage over the electrical activity assessed by the EEG. Overall, MEG has excellent temporal resolution (at the millisecond level) and often has very good spatial resolution as well. 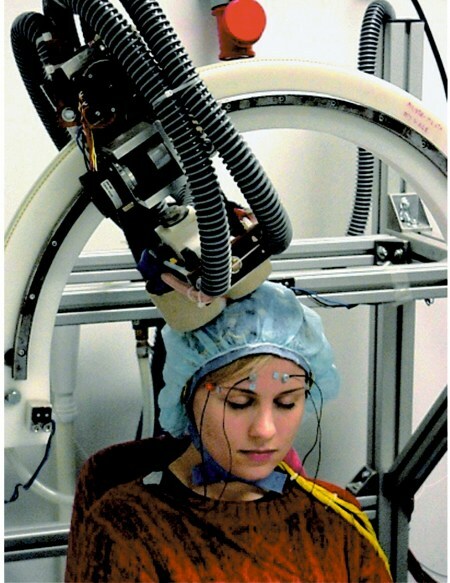 Transcranial magnetic stimulation (TMS) is a technique in which a coil is placed close to the participant’s head, and a very brief (less than 1 millisecond) but large magnetic pulse of current is run through it. This causes a short-lived magnetic field that generally, but not always, leads to inhibited processing activity in the affected area. More specifically, the magnetic field created leads to electrical stimulation of the brain. In practice, several magnetic pulses are usually administered in a fairly short period of time – this process is known as repetitive transcranial magnetic stimulation (rTMS). This technique creates a temporary ‘lesion’ so that the role of any given brain area in performing a given task can be assessed. If TMS applied to a particular brain area results in impaired task performance, it is reasonable to conclude that that brain area is necessary for the tasks performance. Therefore, the greatest advantage of TMS and rTMS over neuroimaging techniques is that it increases our confidence that a given brain area is necessary for the performance of some task. TMS allows us to manipulate or experimentally control the availability of any part of the brain for involvement in the performance of some cognitive task. In contrast, we can only establish associations or correlations between activation in various brain areas and task performance when using functional neuroimaging. And there you have it, stay tuned for the next post on cognitive psychology! UC Berkeley scientists have developed a system to capture visual activity in human brains and reconstruct it as digital video clips. Eventually, this process will allow you to record and reconstruct your own dreams on a computer screen.